Everybody remembers Koko, the gorilla who learned how to effectively communicate with humans by using sign language. The gorilla crept into the hearts of people all over the world. Koko has been revered as an ambassador for her species and an iconic symbol for communication between different species. Koko was born on Independence Day in San Francisco Zoo in the year 1971. Her official name was Hanabi-Ko which is a Japanese word which makes reference to fireworks. Fireworks is an apt description for the furry friend who set off sparks in the animal and scientific world. The gorilla so fondly loved by the world has died at the age of 46. The gorilla passed away peacefully in her sleep and with her, the ambassador for the endangered species. She saw her last days out in the sanctuary of The Gorilla Foundations Preserve in Northern California. The Gorilla Foundation is an organisation which is non-profit. They are on a plight to protect the species that is endangered and preserve the habitat in which they live. They have conveyed their deep sadness at the loss of the loving gorilla, however, they are determined that she will be forever remembered for her part in raising awareness for the western lowland gorilla species. The organisation speaks of her fondly, saying how deeply loved she was and how sorely missed she will be. The loss of this majestic creature will leave a gaping hole in the lives of many who were in daily contact with her and developed an unbreakable bond with her. 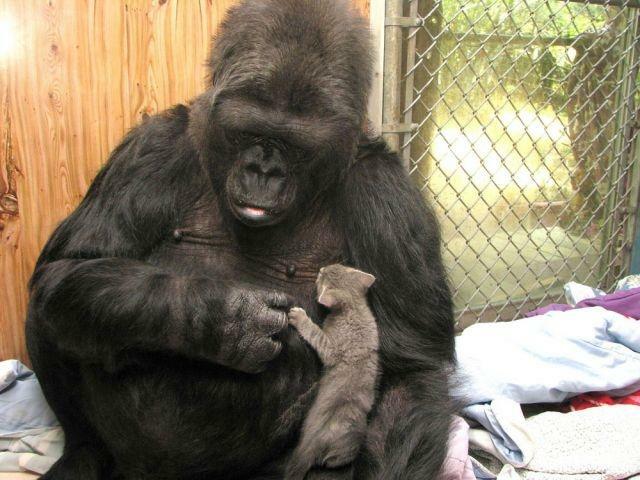 It is strange to think of an animal having such an impact on the lives of humans, however, Koko had that effect. She learned fast and was eager to develop relationships with those who cared for her. She is certainly an important part of the history of both man and animal.